Since 1993, 11 people have been killed in abortion-related attacks — doctors, clinic staff, and last week, a police officer and two visitors in the line of fire at a Planned Parenthood clinic in Colorado Springs. While the investigation continues into the shooter’s background and motives, David Cohen, a law professor at Drexel University, says that stalking and harassment pose a much more common threat to abortion providers and their families. For their May 2015 book Living in the Crosshairs: The Untold Stories of Anti-Abortion Terrorism, Cohen and co-author Krysten Connon interviewed 87 providers in 34 states — clinic owners, doctors, and other employees. Nina Martin spoke with Cohen about their findings; the interview was edited for clarity and length. Nina Martin: How did you come to write your book? D.C.: It came from work that we had been doing representing the Allentown Women’s Center in Pennsylvania. The director there had been dealing with some pretty severe targeted harassment. The protesters picketed her house. They harassed her at work. They sent letters to her mom. It got so bad that she was wearing a bulletproof vest to work. This kind of personalized, individual targeting is not a part of the national conversation, and it should be. N.M.: Some of the providers you interviewed had experienced some horrifying attacks and harassment over the years: death threats, physical assaults, vandalism, arson. Other types of harassment were less obviously dangerous but still very intrusive. What was the most striking pattern to emerge? D.C.: A lot of people deal with home picketing. It’s a particularly invasive form of harassment because the home is where we go to escape the world and the public life that we live. Extremists will come to someone’s home on a weekend and protest with signs that say “A Murderer Lives Here” and pass around pictures of the provider and yell to the neighbors that they need to do something about this terrible person in their midst. It sends a not-so-subtle message: We know where you live, we know where to find your family, and maybe we’ll do something more. It’s not something that gets picked up in the media. It’s ongoing. There’s hate mail at home and work, targeting of family members by showing up at schools. N.M. How do protesters gather the information they use to target providers? D.C.: They have found information about providers by exploring medical agency and state department of health databases. [Abortion foes have employed similar tactics to dig up information about clinic patients, as ProPublica reported this summer.] They will use license plates to track down registration information. They have hired private investigators. The Internet certainly makes it easier to gather this information and spread it. N.M.: And sometimes it’s the legal process that makes providers vulnerable, right? As your book points out, people who testify against protestors or give depositions in lawsuits are required to disclose personal information that may then be used to harass them. D.C.: The problem is that a lot of people in the legal system don’t understand the lives of abortion providers, so they ask them to turn over information about the clinic, about their personal lives, as part of the discovery process, and that information can be used to revictimize them. People who testify against anti-abortion activists may face retaliation. That should be something that is punished by law already, but prosecutors are reluctant to get involved. Using the legal system can be a powerful tool for abortion providers, but it’s a dangerous tool, too. N.M.: All of that must take a huge psychological toll. D.C.: It has a deep impact on their lives. For some it’s so constant and so pervasive that they think of it as normal. Then, as they were telling us their stories, they would realize: This is not normal. One doctor said he was like a soldier in the field, a cop on the beat, a fireman going into a burning building. A lot of them feel like they are targets, they are in danger, they have to be vigilant all the time. They are traumatized. But these aren’t soldiers in battle. They’re medical personnel working in office buildings. N.M.: The Colorado Springs Planned Parenthood clinic where last week’s shootings occurred had cameras everywhere, bulletproof glass and a safe room. What kind of precautions do individual providers take to protect themselves and their families from violence and harassment? 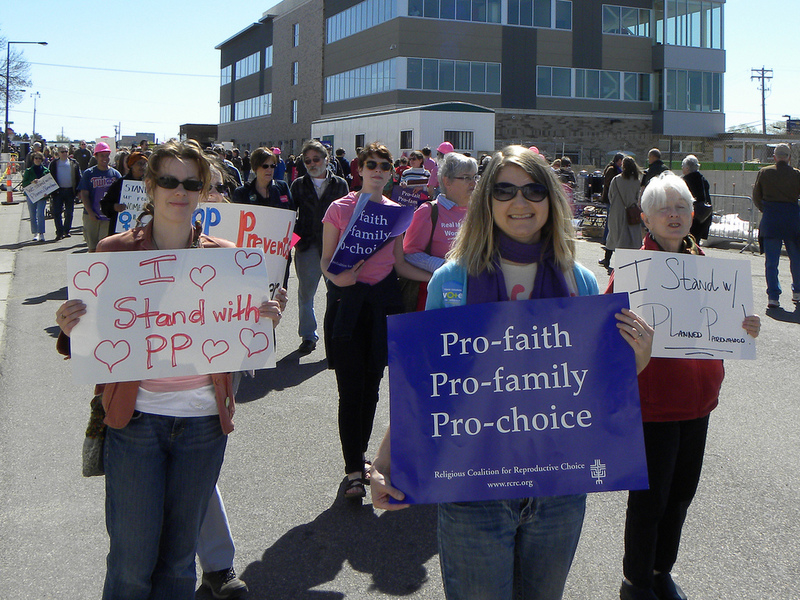 N.M.: States have enacted a huge number of abortion restrictions in the past few years. Is there any correlation between those kinds of laws and violence or harassment against providers? D.C.: There was a study a few years ago that showed that states with more abortion restrictions have a greater incidence of low-level harassment and vandalism, although the study didn’t show a link to more extreme acts of violence and murder. The Feminist Majority Foundation has reported that more clinics are dealing with this kind of targeted harassment since 2010. To the extent that that’s true, it’s probably related to the fact that we’ve seen an unprecedented number of abortion restrictions since 2010, when the Tea Party took over so many state legislatures. Many of those restrictions are specifically aimed at clinics and doctors. I’m not ascribing intentionality there, but extremist regulations and extremist language make for a volatile mix. N.M.: What about those videos claiming to show Planned Parenthood selling fetal organs for profit? How do you think something like that affects the overall level of violence and harassment? D.C.: You add into the mix these deceptive videos — I mean, how awful is that, selling baby parts? And extremists believe it. It really adds to the volatility of the environment. In Colorado, a deranged man shot up a Planned Parenthood clinic. The affiliate, Planned Parenthood of the Rocky Mountains, was one of the clinics featured in these videos. Police said that afterwards accused attacker Robert Dear Jr. talked about “no more baby parts.” Even if [as news reports suggest] the attacker was not a member of Operation Rescue or the Army of God or another extremist anti-abortion group, he was part of this environment that was vilifying abortion, vilifying Planned Parenthood. N.M.: Over the years, state and federal lawmakers have made attempts to protect clinic employees and patients from harassment. For example, the Freedom of Access to Clinic Entrances (FACE) Act of 1994. Some of these laws haven’t stood up to Supreme Court scrutiny. What measures, if any, have proven effective? D.C.: Clinic blockades were very common in the 1980s and 90s. Physical blockades at the clinic door, sometimes with human bodies, sometimes with a car where the key has been thrown away and someone’s locked underneath the car and that key’s been thrown away, too. The FACE Act has been incredibly successful against that kind of action. What the act hasn’t eliminated is the kind of personal targeting we have been talking about. That largely goes under the radar. There are some laws that make a difference. Some municipalities have home picketing laws that say you can only picket someone’s home in particular ways or that bar it completely. There are stalking laws and anti-harassment laws that sometimes are helpful, but a lot of those laws need to be broadened to include the type of harassment that abortion providers face. There’s a great law in California that protects abortion providers’ identities in public databases — it’s called Safe at Home and was originally designed to protect domestic violence survivors. It’s a wonderful model for other states to enact. Hate crime laws should also be expanded to cover abortion providers. Police and judges need to understand how this kind of harassment works. N.M.: Back in 2009, the Department of Homeland Security attempted to classify anti-abortion extremism as a form of domestic terrorism. There was a huge outcry from the right, and the Obama administration backed down. Why do you think terrorism is the appropriate label for the kind of violence and harassment you’ve documented? D.C.: The ultimate goal is to shut down abortion clinics so there’s no more abortion in this country. When Scott Roeder killed Dr. George Tiller in 2009, he said he was saving thousands of babies because now they don’t have an abortion provider in Wichita, Kansas. People hope they can harass someone enough that they’ll stop providing abortions. They hope that they can terrorize someone’s family enough that their family pushes them to stop providing abortions. They have been unsuccessful through the normal political process in overturning Roe v. Wade. So they’re using violence and the fear of violence to accomplish a political goal. That’s terrorism. Written for ProPublica. Sign up for their newsletter.